I hope you all do know about the Szell Bruckner 7th with the Wiener Phil. (63'57) from the Salzburg Festival 21 AUG 1968 on Sony. Ugh, if you type "Szell" into the Hmv/Japan search box, it will bring up the listing. The translation is hilarious as usual, but the disc by disc content looks pretty accurate for the most part. I have those two West Hill Radio Archives sets ... they are wonderful. Interesting to hear what Szell does with the NYP. Some surprising repertoire on these discs, especially (for me) the collaborations: Gershwin's Rhapsody in Blue, NYP, Eugene List, piano (1943); Prokofiev Violin Concerto #1, Cleveland, Joseph Szigeti, violin (1945); Lalo Symphonie espagnol, Cleveland, Alfredo Campoli, violin (1953); and Brahms Piano Concerto No. 2, NYP, Clifford Curzon, piano (1953). I can't seem to get enough of this live material. I am still very undecided on whether to get this new box or not. My inclination is NOT to get it as I have so much of Szell on CDs (and LPs). For me, the Cleveland Orchestra was Szell's alone. And West Hill Radio Archives has made a nice 2x2-CD collection of live broadcasts from Cleveland and New York available commercially with excellent annotations and transfers by Lani Spahr: The Art of George Szell, vols 1 & 2.
as b-sharp, Berlin, Martin Kistner and Matthias Erb." Your HMV link with the TOC in Japanese shortened. Thanks. Lani Spahr some time ago posted on another board two interesting short works (TT: about 30 min.) that were originally intended for his West Hill Radio Archives sets that he did the transfers for but didn't make the cut. The art work for these outtakes is my own, loosely based on the original WHRA sets. BTW has anyone mentioned the Book-of-the-Month-Club sets issued in the early 50s? I have several of those on LP. 2. Haydn: Symphony No. 92 "Oxford"
1. Mendelssohn: Symphony No. 4 in A major Op. 90 "Italian"
1. Dvorak: Symphony No. 9 in E Minor Op. 95 "From the New World"
2. Mozart: Piano Concerto No. 26 in D major K.537 "Coronation"
2. Schubert: Symphony No. 8 D.759 "Unfinished"
2. Haydn: Symphony No. 104 in D major "London"
2. Mozart: Symphony No. 41 in C major, K.551 "Jupiter"
1. Beethoven: Symphony No. 3 Op.55 "Eroica"
1. Schubert: Symphony No. 9 in C major D.944 "Great"
4. Mussorgsky: Preludes from "Khovanshina"; "Dawn on the Moscow River"
1. Mozart: Symphony No. 35 in D Major, K.385 "Hafner"
1. Schumann: Symphony No. 1 Op. 38 "Spring"
1. Schumann: Symphony No. 3 in E-flat Major Op.97 "Rhenish"
Last edited by jserraglio on Sun May 13, 2018 7:00 pm, edited 5 times in total. 1. Beethoven: Piano Concerto No. 5 in E-flat Major Op. 73 "Emperor"
1. Beethoven: Symphony No. 9 Op. 125 "Choral"
1. Schubert: Symphony No. 8 D.759 "Unfinished"
2. Haydn: Symphony No. 92 Major, "Oxford"
1. Prelude and "Liebestod" from "Tristan and Isolde"
2. Prelude to Act 1 "Meistersinger"
1. Beethoven: Symphony No. 6 in F major Op. 68 "Pastoral"
1. Mozart: Piano Concerto No. 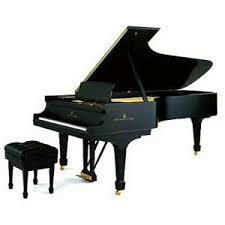 26 in D major K.537 "Coronation "
1. Smetana: "Moldau" from "My Country"
2. Smetana: Three Dances from "The Bartered Bride"
2. Mozart: Violin Concerto No. 5 in A major, K.219 "Turkish"
2. Mozart: Symphony No. 41 in C major K.551 "Jupiter"
Last edited by jserraglio on Sun May 13, 2018 11:29 am, edited 4 times in total. producer Robert Russ with engineers from Swan Studios, NYC, Andreas K. Meyer and Rebekah Wineman as wellas b-sharp, Berlin, Martin Kistner and Matthias Erb." Robert Russ has produced all the Sony big boxes of the last 7 or 8 or so years. Including obtaining Japanese XRCD masters for Rubinstein and Toscanini boxes. Looks like a good chance then that a number of these recordings will be remastered. I am working on the last batch of the machine-translated table-of-contents list (discs 76-106) and will post it ASAP. One of the compositions that stood out was the Dvorak Piano Concerto with Szell, Rudolf Firkusny, pianist. I have that on a Columbia LP [ML-4967], and don't believe that has ever been transferred to CD until now. Anybody know for sure? Of course Firkusny has made many recordings of this concerto. I recall this LP as being extraordinary in its interpretation. All the Rudolf Serkin his complete recordings on Sony , and Robert Casadesus with Szell has been issued on CD near as I know. Years ago a 19-CD set  of Casadesus was issued by Columbia/France of some pretty rare material from early in his career. This was before the days of "mega-sets" that are so common today. It's compositions like those and other collaborations that will make collectors want to acquire this set. I do wonder, however, whether the price will come down given the fact that many collectors already have a substantial portion of Szell's works on CDs. If so, the market will be flooded with individual Szell CDs where that repertoire appears in the forthcoming "big box." The date info on the HMV/Japan disc listing for disc 14, Dvorak Slavonic dances is incorrect. This first complete set by Szell, in mono, was recorded over 2 different sessions - Feb. 24 -26 and March 16 - 17, 1956. And for Lance - the Dvorak Piano Concerto was issued on CD in United Archives Szell edition volume 5, a 3 CD set. 2. Haydn: Symphony No. 94 in G major "Surprise"
1. Mozart: Serenade No. 13 K.525 "Eine Kleine Nachtmusik"
2. Mozart: Serenade No. 9 K.320 "Posthorn"
1. "The Entrance to Valhalla" from "Rheingold "
2. "Valkyrie's Ride" from "Walkure"
3. "Magical Fire Music" from "Walkure"
4. “Forest Murmurs” from "Siegfried"
5. "Siegfried’s Rhine Journey” from “Gotterdammerung"
6. "Siegfried's Funeral March" from “Gotterdammerung"
2. Prokofiev: Suite "Lieutenant Kije"
2. Haydn: Symphony No. 96 in D major "Miracle"
1. Mahler: Symphony No. 6 in Minor "Tragic"
2. Smetana: "From the Bohemian Forest and the Prairie" from "My Country"
1. Wagner: Prelude to Act 1 of "Die Meistersinger"
5. George Szell interview: Talking about "R. Strauss: Domestic Symphony"
6. George Szell interview: Talking about "Mozart: Symphonies No. 28 & 33"
7. George Szell Interview: Talking about "Bruckner: Symphony No. 3"
8. George Szell interview: Talking about "Brahms: Variations on the Theme of Haydn, Tragic Overture"
Last edited by jserraglio on Wed Jun 27, 2018 6:01 am, edited 1 time in total. Joe, many thanks for translating all the Szell recordings in three nice groups! Much appreciated. One of the most amazing recording Szell ever made is of the Tchaikovsky 4th with the LSO. As it's a Decca recording it's not in the box. Another is his Dvorak Cello Concerto with Pierre Fournier and the Berlin Phil. On another note: Today the 3 CD set arrived on United Archives (Volume 5, 013) transfered by Lani Sphar. I believe all the CDs have been transferred from the original LPs. I was particularly interested in the Dvorak Piano Concerto with Rudolf Firkusny. I know Spahr's transfers are excellent. Another reason (I suppose) NOT to go after the 106 CD set though it would also be grand to hear the transfer made by Sony off original masters. 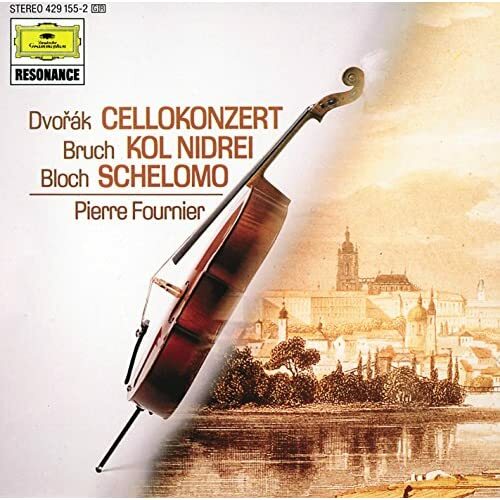 To this day Fournier/Szell is my favorite recording of the Dvorak Cello Concerto. No doubt the price will continue to come down as time moves on. The many Szell record collectors (and there are many, including me), have much on CD of what is involved in the new 106-CD set. Most likely, I will NOT be getting this one myself ... far too much duplication with what already exists. On the other hand, there are many of the older (mono and early stereo recordings) that are making their first appearance from the original tapes. There are always a handful of items in these mega-sets one wishes he or she had. None of us can have everything but I'm very happy I have what I have. pre-order price is $221.98 on amazon.com.us today. too pricey for me at this juncture. Yes, that's just the opening bid. I'll wait as well. For those who have Spotify, the first dozen and a half discs in the Szell box are available in their new remasterings, and from my samplings ( not withstanding Spotify's bit rate) my verdict is they've done a wonderful job. I listened to the 1957 Brahms 1 ( rec. March 1& 2, '57, a week after the first stereo Epic label Szell/Cleveland recording - Beethoven's Eroica) and the sound is quite astonishing - warm, balanced, in a rather generous acoustic (was this Masonic auditorium and not Severance hal? ), with hardly any of the distortion and wow that I've found on numerous copies of the original Epic LP's I've owned over the years. It's really a revelation, as well as one of Szell's most magnificent recorded interpretations. I'm blown away. Try to hear if you can. I listened to the 1957 Brahms 1 ( rec. March 1& 2, '57 . . . and the sound is quite astonishing - warm, balanced, in a rather generous acoustic (was this Masonic auditorium and not Severance hal? ), with hardly any of the distortion and wow that I've found on numerous copies of the original Epic LP's I've owned over the years. It's really a revelation, as well as one of Szell's most magnificent recorded interpretations. I'm blown away. Try to hear if you can. Nice this finally showed up on Amazon. $221.98 plus 8% tax isn't a bad price for 106 discs and all the packaging/book that comes with this set. I was thinking the retail on this product would be at least $3/USD per CD. Like you, I am still teetering since I already have probably all the important material of Szell on CD and still much on LPs as well. Too many times I have seen the prices rise considerably for mega-sets after a couple of months. One just doesn't know for sure. Correction to the TOC I posted above. This interesting comment comes from a seasoned listener on RMCR who has auditioned all the free tracks available in advance of the release of the megabox. I have the complete Szell box on order at bullmoose.com, but in the meantime I have been listening to those of the individual disks that have appeared on Napster.com and Amazon.com. If you have not heard them, you really must. The seemingly intractable defects that have plagued those recordings through decades of format changes and remasterings seem at last to have been overcome. For example, I have both the Sony Original Jacket Collection of the Beethoven Symphonies, and the version of the same recordings in the Korean "Szell Edition" box. Though both are markedly superior to the Essential Classics edition, they pale before the remasterings in the new box. The papery quality of the violins'upper partials has vanished, as has the glutinous, monochrome tone of the 'cellos and violas. In their place, warmth and color. What was suavity and discipline is now passion and humane expressivity. I just listened to the Pastoral Symphony, and, as you may have been able to detect, can hardly contain my excitement. Now selling for under 2 bucks per disc with free shipping at several outfits. The price on this set is becoming more enticing. Under $2/disc for such a deluxe box as this is quite a value considering the cost of original LPs and CDs already issued on the retail market. I am really pondering this one! And the Alicia de Larrocha on Decca even though I have most everything she recorded. There are a few surprises in her edition, however. The only problem is will we live long enough to traverse all this fabulous material? Probably not. Beethoven - Symphony no.6 in F major, op.68 "Pastoral"
Mozart - Symphony no.41 in C major, K551 "Jupiter"
Mozart - Symphonie no.35 in D major, K385 "Haffner"
Haydn - Symphony in G major, Hob.I:92 "Oxford"
Beethoven - Symphony no.3 in E flat major, op.55 "Eroica"
George Szell in Interview, Spring 1967 (the added 6 discs are 5 live Salzburg concerts - with various orchestras, and 1 disc of Mozart piano and violin sonatas w/J. Szigeti. I'm trying to get some confirmation from Sony Classical on this. We'll see. The release date is approaching, August 10! Thanks! Target now has the set listed for preorder at $158.69, exclusive of shipping. That's a good price, better than amazon's $195. I'm waiting to see what lower prices third party sellers will offer on amazon, as I have a gift card to redeem. Joe, can you point me to a Target site that offers this. We do have a Target in town but I have never known them to stock classical CDs. It's being offered online not in store. the price might include shipping. And I just received confirmation from Sony Classical that the box is indeed 106 discs, not the expanded 112. So no Salzburg and Szigeti, and the original list is the correct one. (From the Sony Classical Facebook page). Listening to records I bought wa-a-ay back when, I've just finished with one involving Szell that impresses me less than it originally must have. It's recordings with Robert Casadesus of Weber's Konzertstück and Liszt's concerto no. 2. They're in such a hurry that maybe they had a train to catch, and in the Weber, Casadesus' playing can be pretty clumsy. Could have been just an off day. Unusual repertory for both of them, and not potential best-sellers when Columbia recorded them, so it makes me wonder. I'm not a great fan of Casadesus in general. The only recordings I really like are the Ravel solo piano music; "Tombeau de Couperin" is just about ideal. I know many regard his Mozart concertos highly, but those I've heard seem rather heartless to me. I tried to order the Szell set through Target and since I have one of their credit cards (that doesn't get used very often), I could have saved an additional 5%. Unfortunately, they are not shipping it right now. Actually, even the retail price is not that extraordinary for such a plush edition! According to posters on rmcr, the demand for this set is so high that giants like Amazon are having their orders fulfilled first. Target and the other small fry and their customers are out of luck for now. Amazon has raised its price from $198 to $222. I ordered my copy from amazon just to be sure, and it was shipped today. Will report on arrival. It seems there's a lot of buzz about this box, and I wanted to be sure to have a copy. Szell wasn't a perfect musician, but he one of the greats, and I'm glad to have this on my shelves next to the Bernstein Sony boxes. Incidentally, I note that the Heifetz box is now selling for $1400 on amazon! Joe, you are a PRINCE! This is the best price yet that I have seen, thanks to you. So, guess what? I should be receiving the set soon, hopefully. I am also thinking about dispensing all individual CDs for mega-boxed sets selling them on Amazon or eBay. And, of course, all those CDs are in immaculate condition. Not everyone I know is eager to have everything great artists have recorded. Some of us are exceptions to that, however, including me! This may be getting tiresome, but another price update, for those to whom this is central to buying or not buying. I live in Taiwan, and the box just came out for $180 (US). There is no tax. This is not a sale price--the price here tends not to go up or down once something is out. My experience is that the starting price here is what the US price will be after everything settles down. Certainly the box is a bargain at $221, but if $40, either in principle or reality, is very important to you, I suggest you wait a while before purchasing. I eagerly await my copy for $150/USD, which includes postage. Not Amazon, who apparently gets the lion's share of the sets for distribution. It may be a wait but if it gets here soon, I'll be very happy. I also have on order the Alicia de Larrocha set, which I think I got a good deal on, too. In comparison to list prices, the Amazon prices are not all that endearing so it pays to go shopping. Has anyone received their SZELL set yet? I am still awaiting mine. Yes indeed! I received mine from ClassicSelect 2 weeks ago on August 23. Fantastic box, sturdy, great hardbound book, terrific sound work, most impressive! Yes, Lance, I agree! I ordered from amazon & paid a higher price just to guarantee that I would get the set, considering what it will be worth in the future, a few dollars extra didn't matter to me. Beautifully done, it's not quite a 12" box, but it fits nicely on my shelves.